The Yukon Flying Club was the precursor to the Yukon Transportation Museum. 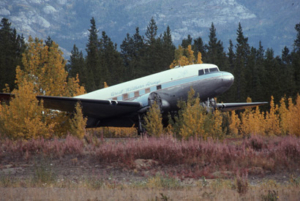 In 1977, these dedicated individuals with a passion for Yukon aviation embarked on a four-year volunteer project to create one of Whitehorse’s most recognizable landmarks. 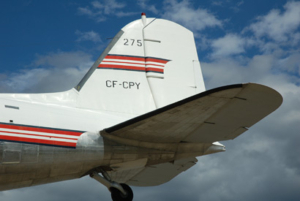 The club devised a plan to restore a DC-3 aircraft, CF-CPY, to her original 1950s vintage Canadian Pacific Airlines colours. They also had to figure out how to safely mount her to a base. A local welder conceived the idea to have CPY pivot on her pedestal, working with the inevitable Whitehorse wind rather than against it. 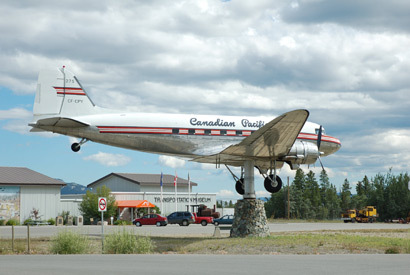 In 1981, CF-CPY was mounted on her pedestal in front of the Whitehorse Airport. 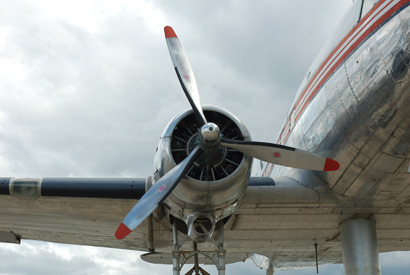 Here she greeted locals, visitors and curious passer-bys, her nose always pointing into the wind with the slightest of breezes. 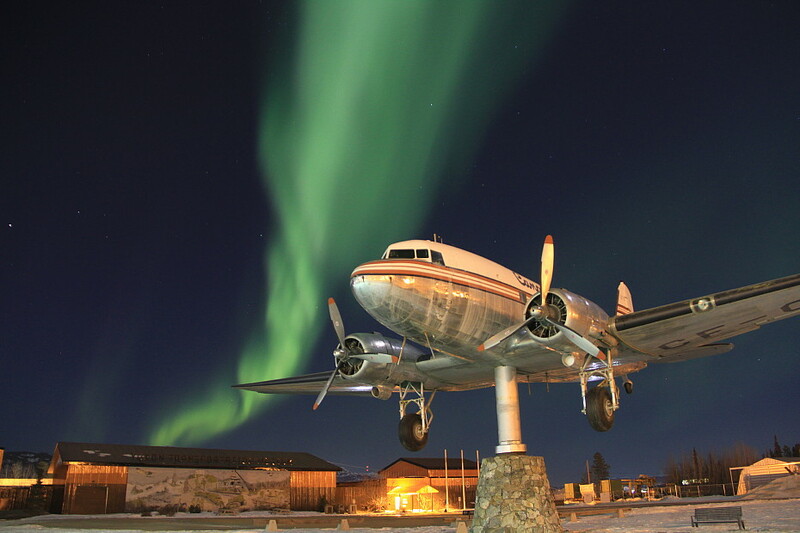 As an outdoor monument, CPY faced the harsh extremes of Yukon weather on a daily basis. Her age started to show with faded colours and peeling paint. 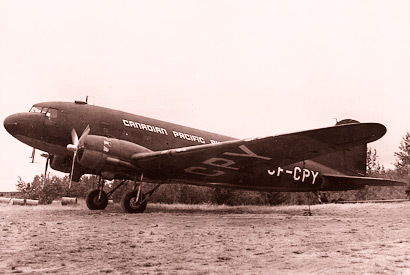 In 1998, CPY was removed from her pedestal for some restoration work. Once again, a dedicated volunteer labour force banded together to return her to her true glory. In September 2001, CPY was remounted onto her pedestal, showing off her new paint job and hand-polished exterior to her admiring public. With expansions planned for the newly named Erik Nielsen Whitehorse International Airport, CF-CPY was again removed from her pedestal in July 2009. 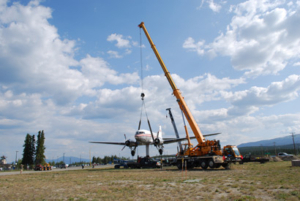 Gingerly placed on the ground and her pedestal dismantled and reassembled in front of the Yukon Transportation Museum, she was once more hoisted in the air to pivot in the wind.